Energy Healing is an ‘umbrella term’ for any type of therapy that manipulates our bodies energy to help is us regain balance and heal on a physical, spiritual and mental level. Since we all, on an unconscious level, carry worry, guilt, shame, stress, anxiety, anger and other unhelpful emotions, which “clog” our energy centers, we all likely need energy healing from time to time. When our Energy Centers are blocked or congested, we experience distress which often manifests itself as physical illness. Energy healing cleanses your Energy and corrects the flow of energy to enhance your overall wellness. There are many types of energetic healing practices, and some of the most well known include Reiki, Acupuncture, Chakra Balancing, Healing Touch, and Pranic Healing. Obviously entire chapters could be written about each, however I simply want to provide a brief overview and then you can decide if any are right for you. Reiki is perhaps the most well known of the energetic healing modalities. It is Japanese in it’s origins and is a natural method to balance ‘life force energy’ whereby practitioners transfer universal energy in the form of Qi through the palms of their hands to facilitate self-healing and balance. 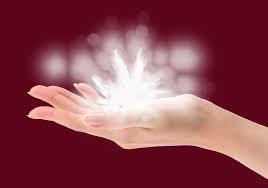 The placements of the reiki healers hands rely on intuitive senses rather than a set pattern of movement. Acupuncture involves the insertion of small, thin needles through the skin at certain specific points. Through these insertions into specific points the flow of energy or life force — the Qi or chi — better flows through the bodies pathways (the meridians) in your body allowing your energy flow to re-balance. Chakra balancing is a general term that promotes the importance of keeping your Chakras (root, sacral, solar plexus, heart, throat, brow and crown) open and cleansed to promote physical, emotional, mental and spiritual well being. If the chakras are congested, blocked or unbalanced then energy will not flow harmoniously through them leading to lack of energy and even the manifestation of illness and disease. Chakra balancing can use techniques such as breathing, touch, sound therapy, visualization and color therapy to balance your chakras. Healing Touch is a relaxing energy therapy that assists in balancing emotional, mental, physical and spiritual well-being. Healing Touch practitioners use their hands and heart, focusing and directing their own energy field in an intentional way to influence the (magnetic) energy field surrounding the patient. The practitioner may or may not actually touch the patient in order to effect the energy exchange. The Healing Touch recipient experiences a sense of relief and relaxation. Pranic Healing is from the Indian sub-continent originally and is based on the principle that the body has the ability to heal itself. It is practiced by the Healer removing, circulating, cleansing and adding prana – meaning ‘life-force’ in Sanskrit – to the recipient. This is all done by working on the recipients’ energy field (or aura) and involves no touch. Through healing and balancing the Chakras the bodies energy is transformed. It has been described as ‘acupuncture without needles’ and leads to physical, mental, emotional and spiritual well-being being affected in a positive way. There are of course other forms of Energy Healing – such as EFT, crystal work, flower essence, tibetan bowl therapy, and of course just by sending out positive vibes you are in fact healing your own Energy – but I wanted to list the main forms of Energy Healing. Since we are all Energy and the flow of our energy is often and continually ‘clogged’, it is important to find a modality that suits you, since by sustaining clean and balanced Chakra’s you will manifest greater abundance in your Life and experience a deeper spiritual relationship with yourself and the Universe.